Enter to win a FREE package of Back to Nature soup here, and you’ll be able to print a new $1 off any Back to Nature product (excluding macaroni and cheese) coupon after entering! 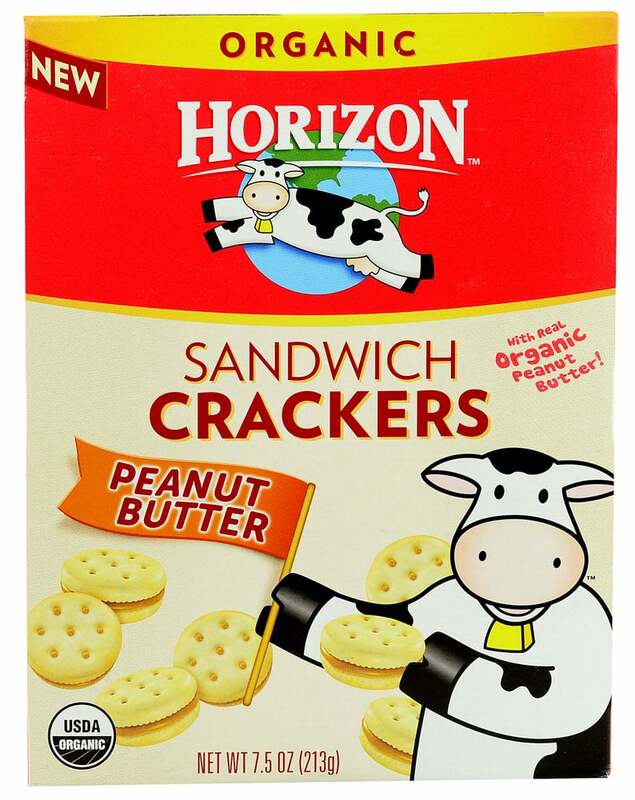 Here’s a new $.75 off any 2 boxes Horizon macaroni and cheese coupon! You can print two copies. 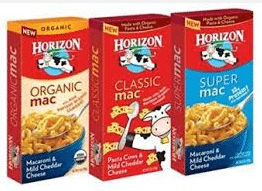 Horizon mac and cheese often goes on sale for $1 a box, so just $.63 after coupon! 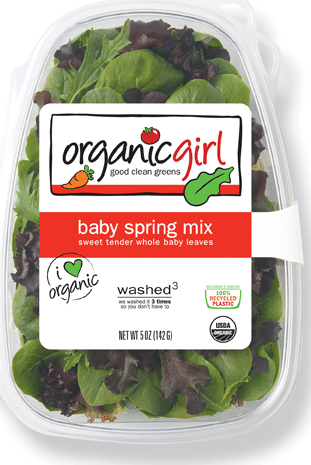 If you’re looking to save on organic produce, be sure to print this new $1 off any Organicgirl salad coupon! 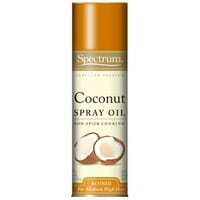 Target just released some nice new coupons that will allow you save on organic produce as well as their natural and organic store brand, Simply Balanced. 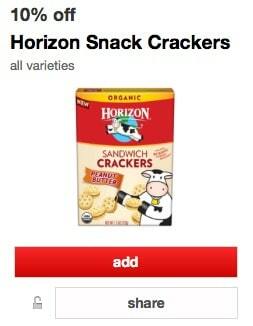 Here’s a hot new Buy 1 Horizon snack crackers, get 1 FREE coupon! 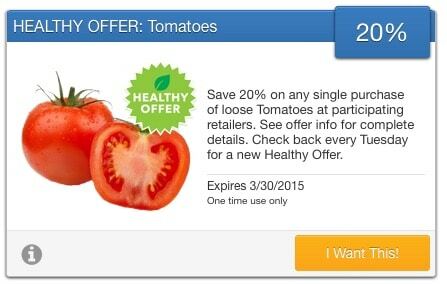 You can print two coupons. Be sure to print it now as this may not last very long! 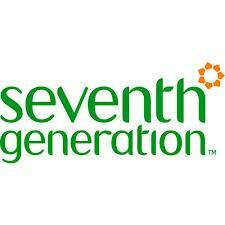 Sign up for the new Seventh Generation community where you can exchange tips, opinions, test products and best of all, receive Seventh Generation coupons!